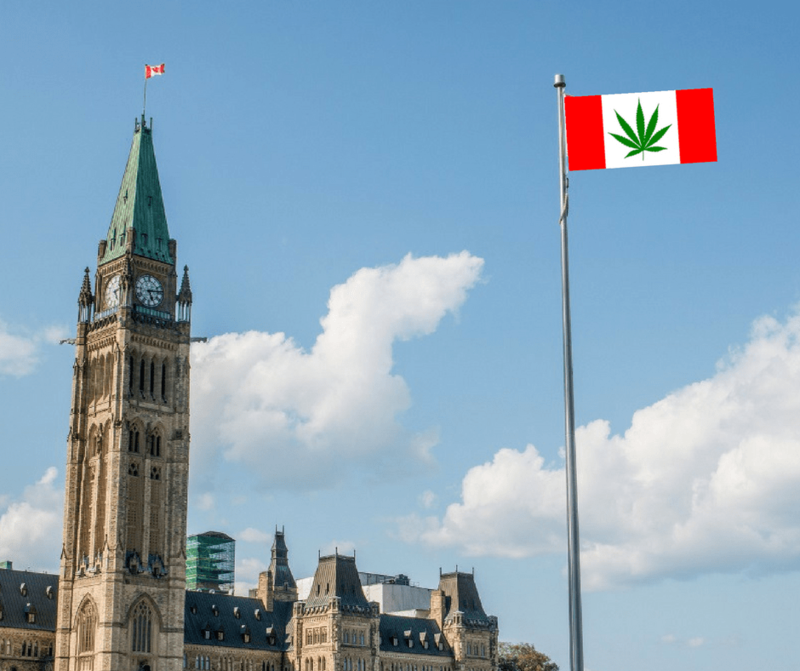 Members of the Canadian House and Senate have reconciled and given final approval to C-45, sweeping legislation amending the federal Controlled Drugs and Substances Act so that those over the age of 18 may legally possess, purchase, and grow personal use quantities of cannabis. Majorities of both chambers had previously approved slightly different versions of the measure. Today, Senate lawmakers voted 52-29 to concur with the House’s final version of the bill. According to the BBC, “the bill will likely receive Royal Assent this week, and the government will then choose an official date when the law will come into force.” The new law is anticipated to take effect by mid-September, at which time licensed cannabis retailers are expected to be operational. The Act permits those age 18 and older to legally possess and purchase personal use amounts of marijuana or marijuana-infused products from licensed sellers. Households will also be permitted to grow up to four cannabis plants for personal use. Commercial marijuana production will be licensed by the federal government, while retail distribution of marijuana will be regulated by individual provinces. A Senate amendment that sought to allow provinces to limit or prohibit personal cultivation was ultimately rejected by members of the House. The new law will not amend Canada’s existing medical cannabis access regulations, which permit registered patients to grow or purchase cannabis from authorized licensed producers.